Jetbull has been around for eleven years – since 2007, so it’s still growing and clawing its way up the ladder. Jetbull currently serves over 110000 customers from more than 50 countries around the world. This achievement is partly due to the wide range of odds the bookie offers, plus the variety of languages the website supports. The business is currently operated and managed by EveryMatrix Ltd and is registered and licensed in Malta. Jetbull’s sportsbook is surely up to par with other bookmakers. The website’s design is clean, with very faint background pictures to underline the whole bookmaker theme. The colors used are red, dark gray and white, which makes the visual fidelity factor quite high. The left side menu contains lists of next events, live today, favorites, some quick links, and the sports players can choose. The middle of the website provides promotional banners and a live overview of current live matches. Your bet slip is shown on the right side, as is usually the case with online bookmakers. This layout makes betting a breeze and even very new players will find the interface easy to use and very intuitive. The Jetbull website is currently the 158966th most visited website in the world and the 45348th most visited in the United Kingdom. Most of the visitors are from the UK, too, followed by Romania and Malta. Overall, these ranks are quite the achievement for just nine years of business. The betting options on Jetbull are quite a few. The most popular sport there is football, as usual with non-US bookies. Tennis and motor racing are some of the other options. Overall, there are about twenty sports you can choose from. The live betting section offers everything a player would expect – real time score update, match statistics, and a seamless betting experience. 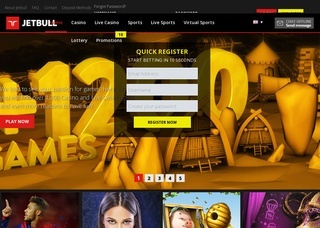 Jetbull is one of the few online bookmakers who offer the Virtual Sports option. While in this section, players can bet on 2-minute football matches, horse racing or greyhound racing. All the games are virtual representations of existing teams and are not based on actual events. The good thing about these games is that they are very, very quick. Even if you tune in the middle of an on-going match, you should just wait a minute or two, and the next one will start. Bets are only accepted before the game starts. The Jetbull Casino is something else. You can choose from over 950 games! I’ve never seen such a high number of casino games on a bookmaker website. The categories are video slots, table games, video poker, scratch cards, jackpot games and others. A very nice bonus welcomes new players to this part of the website, but we will get to the offer a bit later. The bookie also offers a live casino experience, which contains Roulette, BlackJack, Baccarat, Poker and dice tables. Enjoy the casino experience in real time, without leaving your comfy home! The odds on Jetbull are a little bit lower than the odds on other online sports betting websites. But if this fact does not bother you and you prefer a stable, easy to use service with a nearly perfect payout rating – then Jetbull is for you. Football bets offer a variety of odds – from 1X2, through Asian Handicap, number of goals and double chance. The correct score bets have the highest payout, sometimes with a rate of 101/1. Sadly, the maximum winnings are limited to 10000 EUR per bet and 70000 EUR per week, but the minimum is 0.01 EUR, so recreational players will feel welcome there. The Jetbull betting platform is secured by an SSL encryption, provided by Thawte. Aside from the technicalities, your money and data will be safe when dealing with this website. The customer service is excellent but is not available 24/7. However, if you catch their working hours, you will be able to contact them by telephone, email and live chat. The supported languages are shown in the table for your convenience. You will also be delighted to know that Jetbull supports a mobile platform so that players can bet on the move or from the comfort of a soft armchair. Depositing money into your Jetbull account is made extremely easy. The company accepts all major card providers, as well as a huge number of e-wallet options. Withdrawing funds from your account is very limited. You can check both deposit and withdrawal option in the table. Jetbull currently offers two promotions. The first one is a 50% welcome bonus up to 75 EUR for the sports book. There aren’t any requirements to use the bonus money, so bet on! The second offer is a 100% welcome bonus for the casino up to 150 EUR. 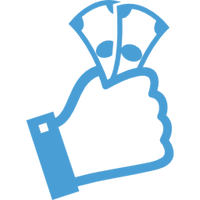 This is one of the best bonuses I’ve seen on online bookmaker websites. The loyalty program consists of points you gain when you play and is only viable in the casino section. 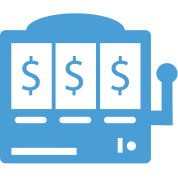 By using Frequent Player Points, players can convert the said points to hard cash, ready to be withdrawn or played again.